The joy of Pokémon comes from the journey, the varying regions, and the dream of being the best and overcoming everyone in your path, but the most joy comes from the Pokémon themselves. These creatures become your allies and best friends who fight with you and accompany you every step of the way. From each game we have found that special Pokémon who means the world to us. To celebrate Gold and Silver coming to the Virtual Console, I present my top five second-generation Pokémon. 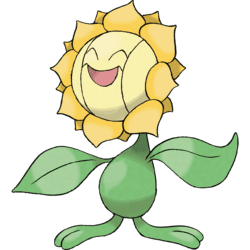 I don’t care what anyone says: Sunflora is a great Pokémon. It does not matter that Sunflora is unoriginal. Many Pokémon aren’t original and they are still great. It also does not matter that Sunflora is a statistically bad Pokémon. It may not battle well, but some of the best Pokémon aren’t great for battle. They’re just a great acquaintance who can brighten your day. The reason I put Sunflora on this list is because it makes me happy. We all need a reason to smile, and Sunflora is that reason for me. Back when I was a young child, I only cared if a Pokémon was cute. And, really, I’m much the same way now. Back in the day, this is what made me love Teddiursa. Teddiursa is a sweet, helpless little creature that you want to take back home and hug. 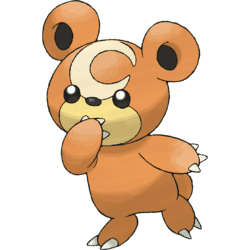 Before it becomes its evolved form, the imposing bear Ursaring, it does little harm, but if cuteness could kill Teddiursa would have quite a body count. Zubat and Golbat are notorious among Pokémon players because of their high encounter rates in caves. Being a staple of villains’ teams doesn’t help them, either. They are creatures with negative associations. None of that applies to Crobat, however. Crobat is used much less by the evil teams and is one of the best poison-type Pokémon you can get. What makes Crobat appealing is also the happiness factor involved in keeping one. You can’t get Crobat unless you raise its happiness by battling and travelling with it – you have to earn a Crobat. You have more respect for this Pokémon once you earn it and it becomes one of the most reliable allies on your team. Crobat has been a constant ally on my Pokémon journeys, pulling me through many tough battles and often standing as the last defense between myself and a crushing loss. 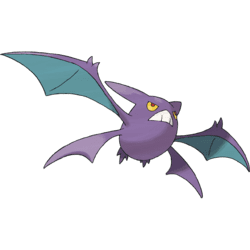 Crobat has earned a special place among my Pokémon legends – those who fought well in battles – for being a wonderful companion and a great evolved form of otherwise horrible Pokémon. Miltank is an odd choice, but I really like this Pokémon. During a recent playthrough of Pokémon Sun, I caught a Miltank and used it as a core member of my team, and it was a great addition. This Pokémon is great for taking hits with its defensive skill but is also a powerhouse when given the right moves. Gold and Silver may have given us bad memories because of the dreaded battle with Whitney and her Miltank, who likely crushed our best Pokémon. But look past that battle and Miltank is a wonderful Pokémon. It features a great move pool, allowing plenty of variety for how you want to focus Miltank’s moves, and its skills can pull out a victory in even the bleakest of battles. 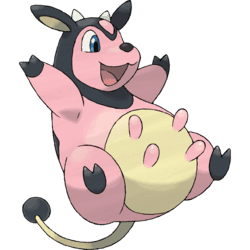 Miltank is simply adorable and a Pokémon that I would love to have at my side in real life. Gold and Silver had three great starter Pokémon, and while Totodile and Cyndaquil get points for being adorable, they don’t win their way onto this list. I admit I could have filled this list with Chikorita and its evolutions — they are some of my favorite Pokémon ever — but I will just use Chikorita. The Chikorita line is statistically the worst you could choose but that is half the fun. This Pokémon made each journey through Johto thrilling. You knew that you were in for a hard time, especially when the game hands out similar grass types at a greater rate than other types. It was always wonderful taking Chikorita, and proving it was the best is one of my greatest memories with the franchise. This Pokémon is adorable. That was always the biggest draw. 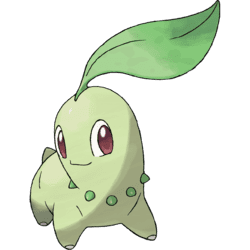 Even as it evolved into Bayleef and then Meganium it remained consistently adorable. When I just want to have a fun journey through the Johto region, you can bet that Chikorita will be my consistent partner.